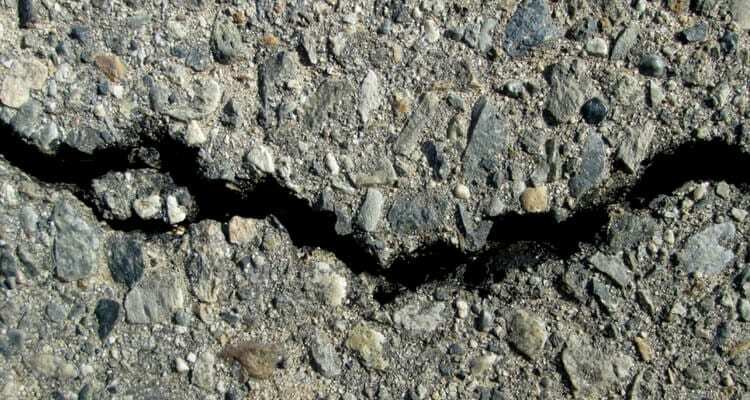 Why Do Cracks Form in Asphalt Driveways? The last thing you expect to see in a new driveway are cracks. While cracks do occur naturally with age, you should not expect to see them, at least in any significant quantity or size, until many years after installation. You might be wondering then how this could happen and if there was anything you could have done to prevent it? Cracking is inevitable in an older driveway, but you would be correct in assuming that it should not occur in a recently installed driveway. It is possible to repair cracks after they appear. Crack sealants are a good way to nip small cracks in the bud before they can turn into large cracks (particularly if they are made to withstand the sun and moisture). However, these repairs tend to be rather ineffective when the cracks become larger. If the cracks are large enough and plentiful enough often the only solution is to replace or resurface the entire driveway. The best way to deal with early cracking is thus to prevent it in the first place. But before discussing how to prevent cracks in a recently installed driveway, we should first go over why cracks occur at all. There are three main factors that naturally lead to cracking over time. Sun: The sun is a major cause of cracking over time. Throughout a driveway’s lifespan the sun will continuously beat down on it. This constant exposure slowly dries out and heats up the driveway, breaking down the substances within the asphalt. This degradation of materials within the asphalt will eventually lead to cracks forming in the driveway as it becomes more and more vulnerable. Moisture: Moisture attacks your driveway from both above and below. Beneath the surface moisture digs into the gravel or sand that serves as your driveway’s base. As the foundation shifts the surface tries to follow, inevitably leading to cracks. From above water from rain or snow melt can seep into crevasses in the asphalt and form cracks through a combination of its movement and weight. Ground Movement: While ground movement may cause some to think of earthquakes, there are far more common reasons for the ground to shift. Most notably the change of seasons. As the ground freezes and then thaws it shifts. This will also cause the gravel or sand base of your driveway to shift as well, eventually starting to pull the top portion along with it, causing cracks. All of these are natural and make cracks ultimately somewhat inevitable. When they occur a fix could be as simple as crack sealing or seal coating the affected area. There is not much you can do to stop sun, moisture, or ground movement from affecting your driveway. However, these processes also take a long time and your driveway, if properly installed, should have many years before the wear and tear begins to show. Consequently, if your driveway is beginning to crack only a few years after installation there are other factors clearly at work, factors which you can address. Tree Roots: Over time ground movement will naturally pressure your driveway and cause cracks. However, tree roots growing near and under your driveway will do much the same thing by applying pressure beneath the driveway. Thankfully there are some easy ways to prevent this. The best way is to simply ensure your driveway is not located next to large trees or otherwise in a position where roots might grow under it. However, if you do wish to have trees right next to your driveway you can install a tree root barrier system, although the trees might not grow to be as stable as a result. Excess Weight: While driveways are built to withstand a lot of weight, there is a point where even the best constructed driveway becomes too stressed. If the driveway is not particularly well constructed its weight tolerance will be even lower. The exact amount of weight your driveway can handle will of course vary greatly depending on the makeup of the driveway and how well it was installed. A good rule of thumb is to be cautious of putting much more than a few tons of weight on your driveway, even though a well installed driveway might be able to take more. Additionally you can move around heavy equipment to make sure the weight isn’t always on the same part of the driveway. Incorrect Installation: The biggest problem your driveway might face though would be a bad installation.If you’re driveway is installed on a weak base made of fragile materials it will be far more susceptible to cracking from any of these factors. Moisture and ground movement will find it easier to move the base, the driveway will take less weight, and so on. Cracking is inevitable with age due to natural factors, but if your driveway is properly installed and cared for it should not start to suffer serious cracks until well into its lifespan. Early significant cracking is often a sign of outside factors like tree roots and heavy weight interfering with your driveway and, most importantly, a bad installation. The best way to avoid these problems is to get a good contractor to install your driveway. A contractor with good customer service who will install your driveway expertly on a sturdy, strong base. Luckily, Greenway Industries is one of those contractors. Greenway Industries is a trusted solution to paving needs in the Greater Danbury area and beyond with over 35 years of experience between its ownership and management. You can rely on us to provide you with a well installed residential or commercial driveway capable of resisting the elements for a long time. Call us today at 203-544-4687 for a free estimate.